Diamond prospecting is no easy feat. Miners only succeed in accessing the deposit of this dazzling gemstone after a lot of failed endeavors. After that, finding these large minerals is an achievement in itself. And finding a diamond that is large with fancy colors, happens very rarely. But this rare event has recently taken place in Canada where a diamond mining company has unearthed a whopping 552-carat yellow diamond. It is the largest diamond that has ever been found in the North American region and beats the earlier record (187.7-carat) by a mile. Dominion Diamond is the company that mined this gem (before cutting and polishing) from its mine in Calgary, Canada. The discovered specimen that has yet to be named, holds a diameter of 1.5 inches and a height of a bit over two inches. From a geological standpoint, it is being said that diamonds of that size, color and texture are not usually found in this region. As per the press release issued by Dominion Diamond, the mining of this rare rock in its original form was made possible by quite an arduous process. The company has termed the excavation of diamonds without any fragmentation a remarkable feat. One can easily make out the abrasion marks on the surface of the excavated specimen in the picture released by Dominion Diamonds. It definitely shows the amount of effort that went into mining it in its natural form. Different colored diamonds have varied demand in the gemstone world. If we particularly talk about yellow diamonds, then one can see an interesting trend among the gem lovers. For instance, diamonds with a pale yellow hue are cheaper than the colorless ones. However, the tables are turned as pale yellow transcends into more brighter and intense shades. Diamonds with dark yellow shades are pricier than colorless specimens. This color phenomenon is primarily caused by chemical impurities that exist at the molecular level in any specimen. For instance, a blue hue in any diamond specimen is developed because of the presence of boron atoms in its structure. 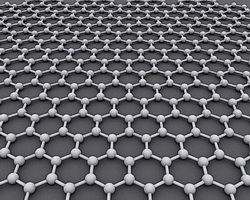 Similarly, the existence of nitrogen molecules between the crystal lattice is responsible for yellow color. Colored diamonds, in general, are extremely rare. According to certain estimates, every 10,000 carats of diamonds have only one carat of the naturally colored specimen. 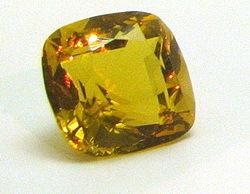 However, within the domain of color diamonds, yellow ones are the most common. More than half of the colored diamonds exist in different bands of yellow hue. The prevalence of yellow diamonds among color diamonds doesn’t change the fact that it is still a rare gemstone. To put things in perspective, only one out of 16,000 carats of mined diamonds are yellow in color. The price of the specimen goes up as we move from fancy light yellow to vivid yellow. The deep and vivid yellow diamond specimens don’t just have a magnificent appearance, but they are extremely rare too. For that matter, a huge price difference exists between the different yellow diamond specimens. For instance, a vivid yellow diamond will be four times more expensive than a fancy light specimen with the same carats and cuts. The Brown yellow diamond is a specimen with a predominant yellow hue and a secondary undertone of brown. The same goes for green yellow and orange-yellow specimens. The price of yellow diamonds with secondary shades depends on the rarity and demand of that color. Yellow diamonds with a tinge of green are more expensive than plain yellow specimens. On the other hand, yellow diamonds with brown undertones are not that sought-after. Before this discovery, some other yellow diamonds have also made history. For example, one of the world’s largest yellow diamonds was discovered even before the new wave of gem prospecting and mining. It was discovered by the British mining company DeBeers in the then newly discovered diamond mines in South Africa. The specimen was later cut into a 234-carat cushion piece and bought by the Maharaja of Patiala, India for his necklace. The Tiffany Yellow Diamond is also one of the largest colored diamonds. It was also discovered in the early diamond mining days in South Africa. The stone was originally 287 carats but later cut into 128-carat piece. The discovery of yet another rare gemstone suggests that the earth crust still got many spectacular specimens to astonish us with their brilliance. It also implies that ‘the largest gemstone’ can’t be a conclusive title for any mined gem. Before we wrap up the article, let’s have a look at some of the metaphysical properties attributed to yellow diamonds. It is believed that wearing yellow diamonds brings joy and happiness. The yellow diamond symbolizes the motifs of love and commitment that eventually leads to happiness and contentment. Yellow diamonds are also known for improving inner strength. People can easily deal with difficult and unwanted situations when their inner strength is reinforced by a yellow diamond. Yellow diamonds are also believed to have a cleansing effect on negative thoughts. Negative sentiments such as envy, treachery, and greed can put the affected person on the path of self-destruction. Wearing a yellow diamond can help in mitigating the levels of negative emotions. Once upon a time, the stone of amethyst enjoyed the same status as the diamonds today. It once used to grace the outfits of the kings and the clergies and was only known to revolve among elites and royalties. Among all the stones that the human race has come to discover, and would probably continue to discover, Amethyst enjoys some of the richest historical tales. This is still a stone of the royals; its vivid purple color reflects this. Interestingly, its status as a privileged gemstone wasn’t just recognized by the crowned heads of one nation, but also by many others. This is proven by the fact that this stone is a part of royal collections all over the world. The earliest use of this mineral dates back to the days of ancient Greece. In fact, the stone got its famous name from the Greek word, amethystos, meaning literally, not drunk. It was accredited as the stone that protects its owner from the state of drunkenness. A Greek legend even says that this stone was the creation of the Greek God of Wine, Dionysus. According to the legend, a mere mortal insulted Dionysus, and in his fit of rage, Dionysus vowed to unleash his revenge on the next person who would cross his path. As it so happens, the first person he saw right after his vow, was a beautiful young maiden who was on her way to pay homage to Artemis, the goddess of childbirth and virginity. True to his promise, Dionysus unleashed furious tigers upon the young maiden. As they leaped to attack her, Artemis stepped in to save the maiden by turning her into a statue of white quartz. One legend says that Dionysus poured a cup of grape wine out of remorse for his actions that gave amethyst its rich purple color and its anti-drinking effects. Another legend says that in his intoxicated condition, Dionysus showered his wrath on a young virgin named Amethyst. The maiden cried out to goddess Diana for help. Diana turned the maiden into a white amethyst. Out of remorse, Dionysus cried and his purple tears fell on the white quartz. Whatever the myth, the Greeks firmly believed that the amethyst was a stone of sobriety and would prevent a person from drinking excessively. Egyptian folklore wasn’t too far off from Greek mythology. The ancient Egyptians used amethyst as a sign for the zodiac of the goat. The goat was symbolic for animosity with vine and vineyard and hence, the antidote for alcohol. Amethyst wasn’t as prevalent in the Egyptian culture as it was in the Greek and Roman culture. However, it was acknowledged and valued in ancient Egypt as well. Its use in Egyptian culture dates back to 3000 BC. Egyptians used to wear amethyst to protect themselves from feelings of guilt and fear. 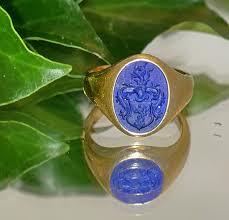 The royal stone was also worn by the ancient Egyptians to ward off the effects of witchcraft. It was found in many of the Egyptian tombs, including the tombs of their long dead ancient kings. A beaded amethyst bracelet was discovered in the tomb of Djer, the second pharaoh of Egypt’s 1st dynasty. A bracelet inset with a large amethyst scarab was also found in the tomb of Tutankhamen, the boy-king of ancient Egypt. The beloved Queen Mereret’s tomb was also found housing amethyst heart scarabs as well as an anklet with beads of gold and amethyst adorning it. This shows that even the kings and queens of Egypt were enamored with the beauty of the amethyst. Italy isn’t behind on their love for the amethyst either. In fact, the Iron Crown of Lombardy is one of the oldest surviving crowns that contains amethyst jewels. A crown that old and precious is certain to come with a fable. Legend has it that the bands of iron in the crown are from the crucifixion nails of Christ. This legendary crown dates back to the middle ages and is made of 22 gemstones. To be more exact, it contains four violet amethysts, seven red garnets, four gems of glass, and seven blue sapphires. Italians weren’t the only ones who owned a gem so valuable and prized. The regalia of France, Norway, and Georgia were also rich in amethyst jewels. However, there was a kingdom that surpassed every other. When it came to owning profligate amethyst jewels, the British regalia took the crown–literally! One of the things that make Great Britain so great is its royal kingdom and long-running legacy of monarchs. And what really makes monarchs true royalties is the crown on their head. The royal crown contains only the best for its monarch. The magnificent koh-i-noor diamond that sits front and center on the crown of Queen Victoria is proof of that. 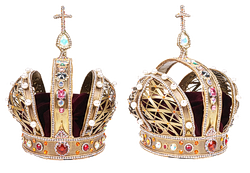 The British crown also owns five famous scepters in its collection. Every British monarch held that one of these royal scepters in their right hand during their coronation. And then there’s the Orb. It is cut out of a large amethyst and is richly encrusted with diamonds. One of the ex-British Royal, Queen Mary, was also a proud owner of a famous amethyst parure. The set contains brooches, a necklace, earrings, hair combs, and of course, a tiara. The tiara contained huge and oversized amethysts, cut oval, and adorned by diamonds. The current location of this parure is unknown. It was passed down from Queen to Queen. Even the present Queen Elizabeth was found wearing bits and pieces of the parure many times. Over the course of history, monarchs have continued to adorn their jewels with amethysts to strengthen their status as the royals. Rumor has it that the famous Russian Queen Catherine the Great favored amethysts, and it was one of her personal favorites. Being that this is the month of December, we’d thought you’d like to know about your birthstone – that is, those of you who have been born during this month. You have something that others don’t—a luxury of choosing between three birthstones. All these three stones are best known for their beautiful shades of blue. A fitting nutrient to keep you happier during these winter months. Another thing that makes December folks lucky is that all three of these stones are moderately priced. That said; don’t ever mistake as less precious or valuable. December birthstones have their own rich history and have the same appearance as some of the most priced gems. You can easily substitute a colorless zircon for a diamond and tanzanite for sapphire. The third birthstone of December, turquoise, cannot be used as an alternative to any other stone because it is very unique. Let’s learn some more about the three December stones. The honor of being the oldest mineral on earth goes to Zircon. It was discovered more than 4.4 billion years ago. It’s widely believed that the name of the stone was derived from an Arabic word, zarkun or zargun, with zar meaning gold and gun meaning like, literally translating to gold-like. However, many people misjudge zircon as just an imitation gem, because of its wide popularity in the 1990s as a replacement for diamonds. In truth, zircon has a rich traditional history and its own share of legends and folklore. During the middle ages, zircon was believed to bring wisdom and induce sleep. It was also believed to ward off evil. Zircon has been rumored to have the power to relieve pain, protect travelers from injury, disease and misfortune, and increase appetite. It was especially famous in the Victorian era when gemstones were popularly featured in English estate jewelry. One zircon enthusiast even tried to name this gemstone starlite, but the Arabic name had already become famous. The chemical makeup of zircon is very unique and hardwearing, which is why zircon has survived for billions of years. Zircon contains traces of the radioactive element uranium. 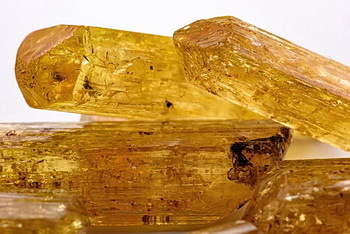 It is because of uranium that zircon changes its chemical structure and its color over a long period of time. Zircon looks like a hard silver metal and it is extremely resistant to corrosion. The turquoise mineral is best known and distinguished for its unique color that ranges from sea-blue to gray-green. 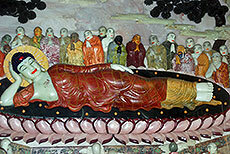 It is because of its atypical appearance that it became known as an antique ornamental stone. Turquoise is also a very rare mineral and is only found in certain localities. That is the reason why it is so commonly imitated by using howlite and dying it blue. Turquoise, which is also known as robin’s egg blue gemstone, used to be quite famous among the pharaohs and Aztec kings. Like zircon, turquoise is also one of the oldest known minerals. This unique colored mineral gemstone has been popular amongst the U.S Native Americans as well as among the Indian tribes in Mexico. It was believed that the gemstone might have originally come from Turkey; hence, it was named after the country. It was later discovered that it most probably came from ancient Persia or Egypt. Other sources believe that it might be named after the French description of the stone pierre turquin meaning dark blue stone. For more than a century, the richest, most intense blue turquoise was found in Persia. Turquoise is porous and naturally contains a waxy luster; it is often artificially impregnated with a plastic lubricant to enhance its luster. This blue-green mineral is composed of hydrated phosphate of copper and aluminum. Tanzanite is a transparent gem, and it ranges in color from blue to violet. It gained instant popularity after its discovery because of its vivid color and high clarity. It is now the second most popular gemstone, with the first one being sapphire. Tanzanite is not as old as its counterparts. In fact, it was discovered in 1967 in northern Tanzania by a Masai tribesman. It is said that this precious stone was found on the foothills of Mount Kilimanjaro. Its place of origin also became its namesake. The local miner who was informed of the discovery quickly registered mining claims in hopes that he had hit a sapphire deposit. That is how similar this mineral is to sapphire in appearance. Within a short period after the discovery, more mining claims were registered around the area. Looking at the stones, everyone knew just one thing, it was precious. Even Tiffany and Co. stepped in and became its official distributors. This is how the world came to know of one the newest gemstones. Tanzanite is pleochroism in nature and appears in different colors under different lights and crystallographic directions. The stone is made of mineral zoisite. It has a perfect cleavage and could chip right away on a sharp impact. Today, people still believe that Zircon has healing effects. It is said to be good for traveling and helps prevent nightmares. Furthermore, it is also known for providing relief from pain and helping people with low appetite. Turquoise is usually worn by people as part of their traditional attire. It is believed to have special healing properties and can bring good fortune and good wealth to its wearer. Like most stones do for their wearers, turquoise also wards off evil and brings luck. Tanzanite is said to bring peace and calm over its wearer, must like its deep blue color that easily rivals blue sapphires. It triggers deeper thoughts and allows the wearer to become aware of some profound feelings. Something very odd happened a little before 9:30 on November 11, 2018. A seismic wave was picked up by instruments around the world. The ground zero point originated near the shores of the French island of Mayotte, off the coast of Southeast Africa. This bizarre wave began rolling off of Mayotte and continued to travel for nearly 11,000 miles. It flew over vast oceans, hovered past Chile, New Zealand, and Canada and even made its way to Hawaii. Seismic waves are often detected by the instruments and these vibrations are not really strange. They are often unexpected, but completely normal. What really made this seismic wave bizarre is the fact that no one saw or felt it and only one person was able to observe the signal on the US Geological Survey’s real-time seismogram displays. And as the world was busy doing other things, this one earthquake buff was paying attention to the real-time readings and happened to take pictures of the zigzags. When the picture of the waves was posted on Twitter with the caption, “This is a most odd and unusual seismic signal. Recorded at Kilima Mbogo, Kenya …” it gained national and international attention. Subsequently, seismologists from all over the world began to analyze this strange phenomenon. To make sense of what happened on this day, we first need to understand how seismograms function. How Does a Seismogram Work? Seismograms were drawn on a piece of paper through drum recorders 30 years ago. The roll of paper was wrapped around these drums and just when the drum revolved, the pen changed its position and left traces across the paper. Today, the display is digital and records about 100 samples per seconds. As soon as an earthquake occurs, a seismograph will display its motions as well as its time. They typically last from seconds to minutes. The height of the seismogram shows the actual ground motion. As a result, the kind of waves that would develop will also show on the seismogram. It could be a P or S. P indicates fastest travelling waves, whereas S indicates shear waves. That said, earthquake vibrations aren’t the only thing that are caught on the seismogram. If a seismogram is placed too close to the road, it will detect the vibrations caused by all the upcoming cars. The only way seismologists are able to tell which waves are an indication of an earthquake is through the fluctuating patterns. Ones that show an earthquake are usually spiky and sudden. Again, comes the question, why was it so weird then? The signals were noted to be very strange with their long and monochromatic lines, according to Lomax Goran Ekstorm, a seismologist at Columbia University, while explaining the situation to National Geographic said that it was pretty straightforward. “I don’t think I’ve seen anything like it [but] it doesn’t mean that, in the end, the cause of them is that exotic,” Ekstorm said. According to him, these waves began as a result of an earthquake, yet it passed by stealthily without anyone noticing it because it was a very slow earthquake. This theory is also supported by the fact that the French island Mayotte is actually part of an archipelago called Comoro, and the islands belonging to this group are identified as volcanic. Additionally, Mayotte itself is home to two volcanoes that have stayed dormant for more than 4000 years. National Geographic did some more digging and stated that this island has already experienced hundreds of tremors since May last year. The tremor has certainly caught the attention of the experts and the authorities. The French Geological Survey has become highly active in the area to monitor the zone for any new volcanic activity. Based on their examination, The French Geological Survey put forward the theory that these waves might be an indication of a mass movement of magma underneath the earth’s crust, referred to as chamber collapse. The collapse is mostly triggered when the magma chamber beneath the volcano empties because of a large volcanic eruption. This eruption could be a singular event, or it could be a series of eruptions. There were many online theorists who did not share Ekstorm and Lomax’s views. Their theory is based on the probability that traditional earthquakes send a jolt of high frequency waves, and that is how it is seen on the seismogram. On the other hand, this reading from November 11 picked up low yet consistent waves that lasted for more than 20 minutes. If the effects of these were really felt, it almost would have felt like as if the earth rang like a bell. Not yet ready to cast this off as earthquake related waves, online theorists suggested that these waves might be a result of covert nuclear tests. Since the pictures went public, netizens began to come up with their own theories. Some suggested sea monsters, humongous ones. Others also suggested a meteorite that could have caused this rumbling tremor seen on the seismogram. Helen Robinson, a PhD candidate in applied volcanology at the University of Glasgow, also agrees with the first theory, believing that it could be a result of the complex geology of Mayotte that caused these strange waves. China is well known for using Jade’s ‘healing properties’. Believed to possess qualities that will prevent decay, Jade was often placed in the tombs of ancient Chinese emperors in an attempt to preserve their bodies after death. While it is generally known for its characteristic soothing green color, the gemstone naturally occurs in a variety of colors and shades including yellow, lavender, white, red, green and even black! The gemstone comes from one of two minerals namely nephrite which is a silicate of magnesium and calcium, or jadeite, which is a silicate of aluminum and sodium. An important part of Asian art, Jade has slowly and gradually made its way into a multitude of cultures, enjoying the status of royalty and revered to this day. Interested in learning more about this valuable gemstone? Read on to find out as we let you in on everything you need to know about Jade from its physical and chemical properties, to its origins and healing nature. While the fact that Jade comes from two different naturally occurring minerals is interesting enough for most people, its physical, chemical, and healing properties contribute immensely to its popularity. While Jade is naturally available in a number of different colors due to impurities, a soothing green remains the most popular and sought after variation of the gemstone. Since Jade comes from two major minerals, the gemstone can be extracted from a number of different areas or regions. While Nephrite, the mineral that gives us lighter green shades of Jade, is generally found in areas such as China, the Swiss Alps, Russia, and New Zealand, the Jadeite mineral which is responsible for the darker and more vibrant variations of Jade is found in Western Canada and other areas in North America. While Jade and the minerals from which it can easily be extracted are generally found in the mountains, there are known reserves lighter variations of the gemstone in countries like Guatemala. Since it is typically found in mountainous regions, a process that is similar to rock quarrying is used for extracting and mining Jade and using it for a variety of purposes. Since Jade mainly occurs naturally in two major forms, there are two chemical formulas that can be associated with the gemstone. While the Nephrite variation – a calcium and magnesium silicate – is Ca2(Mg,Fe)5Si8O22(OH)2, the Jadeite variation has the chemical formula NaAlSi2O6 which is a sodium and aluminum silicate. The gemstone has a splintery fracture with no distinct cleavage quality. The gemstone, like most others, has a brittle tenacity, and has a refractive index that’s between 1.600 and 1.688. The specific gravity of the gemstone ranges between 2.90 and 3.38 depending on the variation and where it has been extracted from, making Jade a very diverse mineral in a number of ways. Possessing a very light and nourishing energy, Jade has been an important part of alternative healing, and offers a number of different benefits. Owing to the purity of the gemstone which almost feels soothing, Jade can help create a positive vibe and energy by means of purification. Symbolizing nourishment and gentleness, it is said that this gemstone does not only support heart energy, but also protects it, allowing people to feel a lot lighter, relaxed and elevated in its presence. Unlike the strong and overpowering rush of energy that emerges from a variety of other pyrite stones, the energy emanating from Jade primarily focuses on helping you feel more grounded, balanced, and harmonious. With a message that could best be described as one that promotes and encourages loving and accepting oneself, it is known for its slow and steady healing powers. Owing to its positive and relaxed energy and vibe, Jade has also become an important part of Feng Shui – a Chinese pseudoscience system that is used extensively to help people remain connected to their roots, and find balance in everything that they do. Jade carvings and polished or treated ornaments made from the gemstone are used in Feng Shui in order to help you make better life choices. It is also believed that different Jade ornaments can help with a variety of areas in your life from love to wealth. In most cases, the Jade gemstone is either treated or enhanced with the help of industrial processes to make it more aligned with the needs and requirements of consumers. While merchants and entities refer to these enhancements in different ways, the procedures that are applied essentially affect the quality, texture, and color of the gemstone. Type A Jade refers to jadeite that has not been treated in any way. In some cases, the surface of the gemstone may be waxed for enhanced luster or shine. Type B Jade refers to jadeite that has been treated with chemicals or polymer resins. Type C Jade refers to gemstones that have been colored or dyed artificially. Type D Jade is the lowest quality of the gemstone and refers to a composite stone or doublet. Whether you are a believer in the healing of gemstones or love to wear jewelry, Jade would make a nice addition to your lifestyle. A gemstone that occurs in a wide variety of colors in both natural and treated form, topaz is a rare silicate mineral. Often confused with other gemstones, the very popular treated versions of topaz with a blue color are shrugged off as cheap apatite and aquamarine gemstones. The more neutral colored topaz are confused with citrine and smoky quartz but there are several specimens of the topaz mineral that rival the likes of sapphire and diamond. Here is what you need to know about the topaz gemstone. Topaz has a chemical composition of Al2SiO4(F,OH)2. 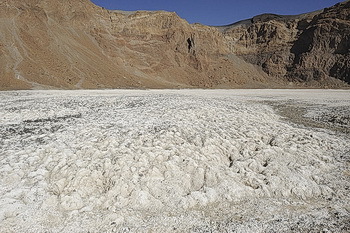 Occurring usually in igneous rocks like rhyolite and pegmatite, they form as they cool down over the years. They are also naturally occurring in water-worn pebbles from streams that flow down from these rocks. A well-known gemstone, it comes in a large variety of colors. Some of the colors are naturally occurring, while others are achieved through treatments of the colorless or pale topaz specimens. Different processes like heat treatment, radiation, and metallic coatings are used to give topaz its different colors. The most popular form of topaz is in the blue color. Blue topaz does not occur commonly in its natural form and most of the blue topaz in the market is actually treated to achieve that color. This attractive color that makes it popular all over the world. As with any other gemstone, its hardness is considered to be one of the foremost qualities for topaz. This particular gemstone is a very hard mineral found in nature. The hardness index on the Mohs Hardness Scale puts topaz crystal at an 8 from a scale of 10. The most common and naturally occurring colors in topaz crystals are colorless to milky, yellow to brownish hues. It also exists in blue, red, purple, pink and red but they are very rare and not often found as gem quality in nature. 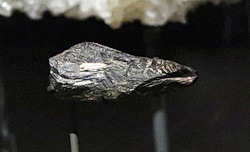 If the topaz crystal is able to grow unrestricted, it forms orthorhombic crystalline structures, which typically have striations running parallel to the long axis of the crystal. It also happens to have a basal cleavage that is quite distinctive. The cleavage breaks along the long axis of the crystal. This distinctive cleavage is the reason why topaz is a very fragile crystal, despite ranking among the hardest gemstones out there. The Mohs Scale Hardness index is nothing more than an indicator of how scratch-resistant a particular crystal is. The actual resistance to breakage is known as tenacity for crystals and topaz crystal is not that tenacious. Considering the fact that the mineral composes silicone, aluminum and gaseous elements, the specific gravity of topaz being 3.4 to 3.6 is considered unusually high. For the longest time in history, yellowish gemstones were called topaz in many parts across the world. The earliest of gemstone traders did not even realize that the yellow gemstones were actually all different materials. It was only around two centuries ago that people began to realize these yellow gemstones might be an assortment of different minerals. Around that time that it was also discovered that topaz can exist in different colors. Before the 1970s, if you went into a jewelry store asking for topaz, jewelers would show you gemstones that were yellowish or brownish in color. But the 70s and the 80s saw blue topaz become increasingly popular. Blue topaz is an incredibly beautiful form of the crystal and is very popular because it’s aesthetically pleasing look has made it even more marketable. Among the various treatments used for changing the color of the topaz gemstone, radiation is the most common because it gives the gemstone its iconic blue color. The type of radiation used to treat the crystal in order to achieve this color can also result in the topaz becoming radioactive. That is not at all a reason for worry though. The radioactive nature of blue topaz actually wears off quite fast. The radiation starts to wear off from the moment that the treatment is completed. The United States Nuclear Regulatory Commission does not allow topaz crystals to be handled in any way until all of the radiation wears off. This is why companies using radiation treatment store them safely until their radioactivity decay comes down to a level that is safe for handling, manufacturing, and selling on the market. Fluorine in the Al2SiO4(F,OH)2 structure of topaz is the limiting factor in the formation of this mineral. This is also the reason why the topaz is so rare. A high enough concentration of fluorine gas to form topaz is not very common and happens in a few geological regions. Topaz usually grows in the form of veins within igneous rocks, formed during the later stages of magma cooling down. There have been occurrences where topaz precipitating in the cavities of these rocks developed proper crystals. These crystals can have good clarity levels and can be used as gemstones. The rarest form of topaz is Imperial Topaz. It is a naturally red form of the topaz crystal, which is so rare that only 1% of all the topaz gemstones that exist have this color. Imperial Topaz has a unique reddish-orange tone. Occurring mostly in Brazil and in the Ural Mountains of Russia, it was first used in imperial jewels for Russian Royalty in the 18th century. That is why it receives its name as the Imperial Topaz. Topaz is found in several places around the world including India, Russia, Zimbabwe, Nigeria, and Australia. The leading producer of the topaz crystal is Brazil, which has a large number of gems. Sri Lanka is another important exporter of the topaz crystal. If you’ve ever visited a jewelry outlet, then the thought of how they create these embellishments and adornments may have crossed your mind at one point or another. The entire process can be quite fascinating when considering how a raw product from Earth’s top layers is transformed into a stunning masterpiece of shiny, sometimes colorful and many times expensive works of art. Our aim is to detail the various steps that are involved in the process of creating jewelry from these vast amounts of minerals, especially diamonds. First and foremost, we will inspect the most commonly used method, which is called the lost wax procedure. The reason it is called lost wax is that the object that will be created is sculpted out of wax to the exact specifications that the finished product will look like. The art of creating jewelry involves the amalgam of the most innovative techniques and sophisticated research. The procedure is defined as a composite process which includes a meticulous and lengthy step. Each and every phase from start to finish is detailed and the end result is a treasured piece of fine jewelry. The components of most jewelry are stones, metals, and its accessories. Every article is set apart through an investment of time and craftsmanship. With the notable exception of personalized jewelry, which is generally handcrafted, the vast majority of jewelry manufacturing is executed using cast machines. The primary concern is to concoct a design that is unique in terms of aesthetics and appearance. Expert designers first make a sketch, which acts as a blueprint and marks the beginning of the process. Each article created on paper is merely just a concept at the start. It is essentially a rough draft that is established through a collaboration between the designer and the craftsman. This concept is used by the model maker in order to create the piece that will eventually end up on a woman’s finger or used as a bracelet or maybe even on a mantlepiece. This brings us to the actual process where the artisan assumes control and oversees every step until the article reaches fruition. It begins with a simple block of wax. The metamorphosis begins in earnest with craftsmen heating the wax model until it turns into liquid form. Once this is done, it is molded around the gemstone. The artisan uses the tools at their disposal which include hand tools such as blades. The wax model may be shaved or carved to create the proper impression and the process continues until the craftsman is content with the form of the wax model. The next step involves embedding the wax carving in a metal mold that is supposed to be filled with plaster. Once the plaster is added, the blend is left to harden. The mold that contains the hardened plaster is heated in an oven at a considerable temperature. This results in the termination of any wax traces. Depending on the artist, the plaster model may then be altered into gold or another mineral during the jewelry casting process. This part of the process is where the wax model is turned into gold. 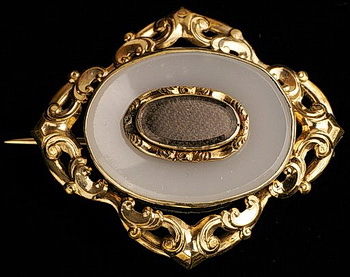 Since time immemorial, jewelry makers have exercised the option of pouring gold into molds shaped in stone and plaster. The process varies depending on the gold components involved in the process as well as the purity of the model. Each model is made at different temperature cycles and processes that are unique to the metal component alloy as well. Also, the casted gold model is soldered and welded later and then set with a gemstone. The next stage in the crafting process is welding. In this phase, metal is fused to each other through exposure to an extreme temperature that is applied to the specific area in a bid to create a commodity that is both durable and wearable. Welding is typically done by torch. Once the pieces are assembled together, the craftsman cleans any telltale indications of the welding by using hand-held tools and then bathing the article in acid in order to remove signs of any scale on the metal. Furthermore, the next step involves soldering if it is required. Stone setting and jewelry polishing to gives the jewelry its glistening touch. An excellent video below describes the jewelry making process in more detail. The vast majority of pieces of jewelry that are crafted are soldered because of their complexity and unique designs. Soldering may be done using a small and thin torch. It enables the artisan to tenderly attach smaller segments of jewelry to create a beautiful work of art. Moreover, when using a pair of tweezers, surgical precision and accuracy are required. Heating the item to the molten point without melting it or damaging the parts to which it is bonded. Setting gemstones on the item represents one of the final stages of the jewelry making process. This is where makers ensure that the jewelry that stays firmly in its position. Stone setters are faced with the challenge of securing diamonds and gemstones in a manner that is least invasive. They have to use the least amount of materials in a bid to fasten the gem in its rightful place but offering maximum durability. The final step is polishing the item before it is complete. After this step, the item is given to the quality control experts. Polishing is done using rotary wheels and soft muslin tools that allow the craftsman to augment is luster. Once the desired polish is accomplished, textures and other finishes may be applied to enhance the design aspect of the finished article and distinguish it from other pieces.